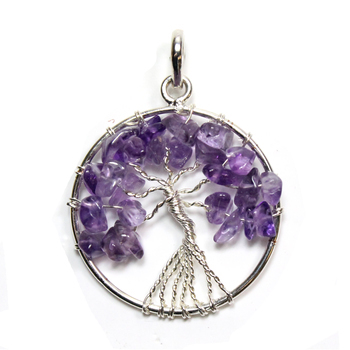 These beautiful Tree of Life Pendants are mounted on a silver plated setting and measure approximately 25-30mm. The Tree of Life is a common motif found in many spiritual traditions around the world. It alludes to the interconnection of all life on our planet and serves as a metaphor for common descent in the evolutionary sense. The term 'tree of life' may also be used as a synonym for sacred tree. The tree of knowledge, connecting to heaven and the underworld, and the tree of life, connecting all forms of creation, are both forms of the world tree or cosmic tree, according to the Encyclopaedia Britannica, and are portrayed in various religions and philosophies as the same tree. Amethyst is a lilac to purple variety of the mineral Quartz. It forms beautiful crystals inside volcanic lava bubbles known as geodes. Due to it's beautiful colour Amethyst is one of the most popular gemstones. The ancient Greeks believed Amethyst prevented drunkenness. 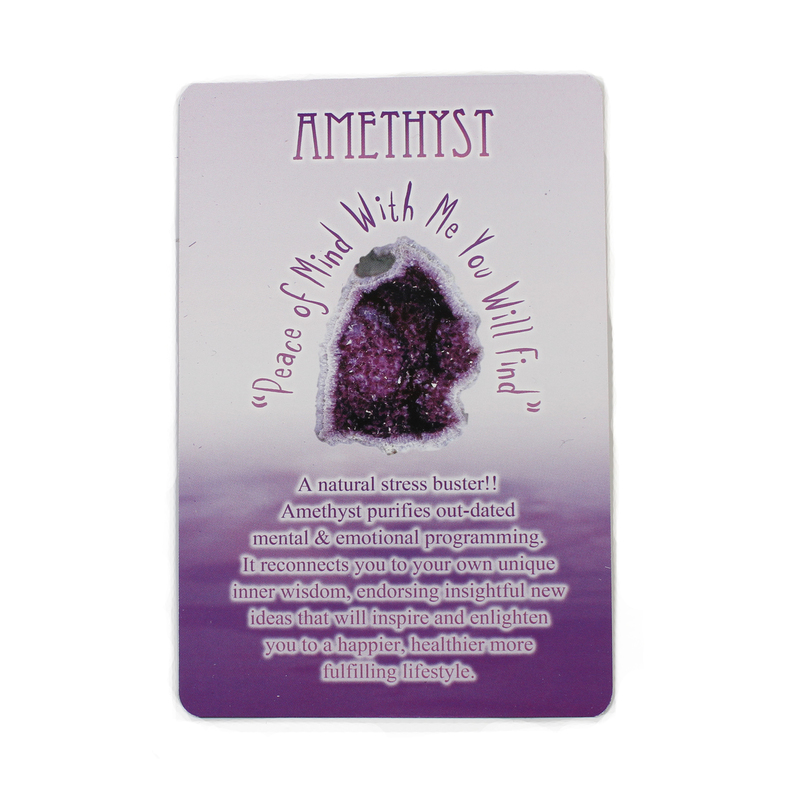 Amethyst is thought to soothe and calm the mind, raise the spirit and protect against negative vibrations.